Stream your favourite music anywhere in your home or your workplace with Guvera and Sonos. Australian-owned music streaming service, Guvera, is pleased to announce its availability on Sonos across Southeast Asia today. The partnership enables Guvera customers to listen to their favourite music on any Sonos speaker in any room of their home. Sonos is a smart speaker system that uses WiFi to stream the music you love throughout your home. One easy-to-use app gives you complete control of your entire home listening experience – access all your music, pick any room or every room, and immerse yourself in pure, richly detailed sound. 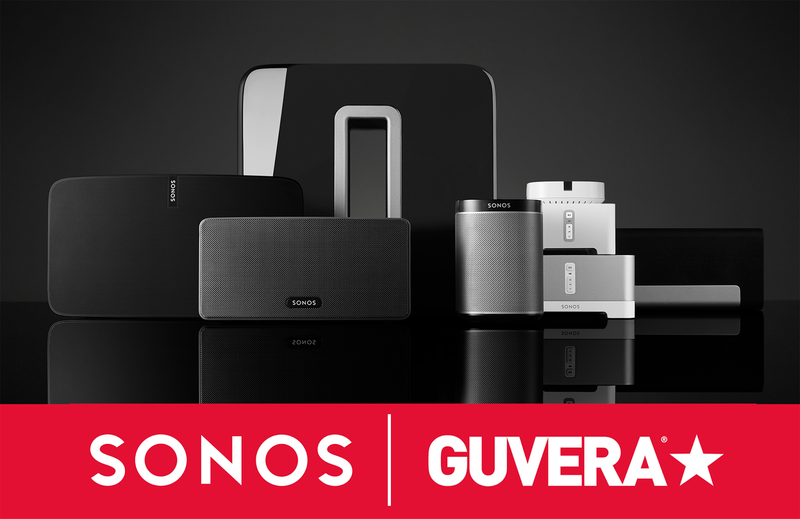 Guvera Platinum members across Singapore, Malaysia, Indonesia, Philippines, Hong Kong and Thailand will have permanent access to Sonos. Non-paid users can upgrade via https://www.guvera.com/subscribe. Globally, Guvera has more than 14 million users and is available in over 20 markets. Guvera offers unlimited music streaming via its app on Android and iOS mobile and tablet devices, as well as on the web at www.guvera.com.